Brief：Bankrupt Detroit’s thousands of empty buildings are being flogged at rock-bottom prices ― and Chinese investors are answering the siren call of unbeatable deals. Michigan Gov. 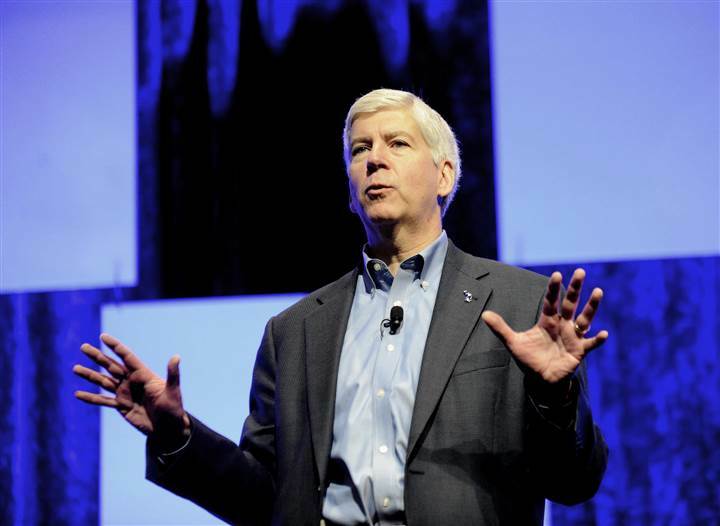 Rick Snyder speaks in Detroit on Nov. 17. With family homes regularly selling for around $10,000, the beleaguered Motor City is now the number-four destination for Chinese housing investors in the U.S. Bigger spenders have already snapped up some of Detroit’s most iconic commercial buildings. Chinese interest picked up steam after a TV report claimed that homes in Detroit could be bought for the price of a pair of shoes. After the program one user posted on Twitter-like Weibo: “700,000 people, quiet, clean air, no pollution, democracy — what are you waiting for?” The comment generated millions of responses. "We believe that Detroit will be back"
The influx of cash is welcome in Detroit. Earlier this month, a bankruptcy court ruling approved a complex restructuring of the city's $18 billion in accumulated debt to end a costly and contentious chapter of the city's long-running financial decline. Once among the greatest manufacturing cities in the world with the highest per capita income in the United States, many of its homes and office buildings now sit empty and derelict. Its officials are looking to China help salvage the gutted city. Michigan Gov. Rick Snyder on Wednesday embarked on a week-long trip to the country, his fourth visit since 2011. 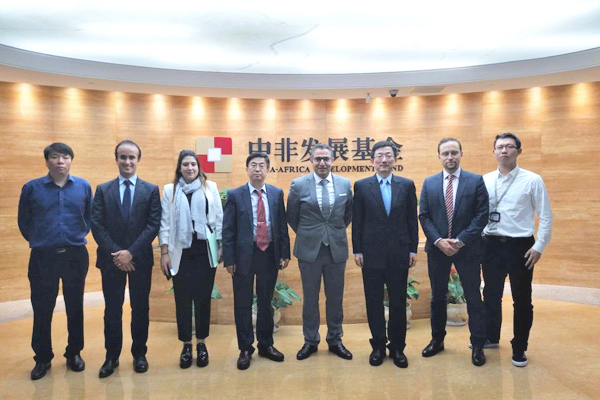 The visit underscores the critical role that he hopes Chinese investment can play in the state’s economic recovery program. The governor’s visit is taking him to Shanghai, Beijing and three other cities. China is also Michigan's third-largest export market. The country’s investors were responding even before the governor’s whistle-stop tour. In Sept. 2013, property developer Dongdu International Group of Shanghai (DDI) shelled out $13.6 million — the price of one of Shanghai's upscale apartments — for three iconic structures in Detroit, including the Detroit Free Press building and a complex built by Kmart founder Sebastian Kresge. As well as wanting want to own a bit of classic Americana, Chinese investors also want to be part of Detroit’s recovery, according to DDI's branding senior manager Mica Shi. Her firm is optimistic about the U.S. in general, she added, citing the country’s educational system and stable economy. Another selling point are the new 10-year visas for the Chinese announced by President Barack Obama during a recent visit. This is obviously not lost on Snyder, who is also lobbying for 50,000 special federal immigration visas to entice even more investors. So with half of China’s millionaires planning to emigrate abroad, and Detroit hoping for a share of “one of the largest and most rapid wealth migrations of our time,” it is unlikely China’s interest in Detroit will die down soon.